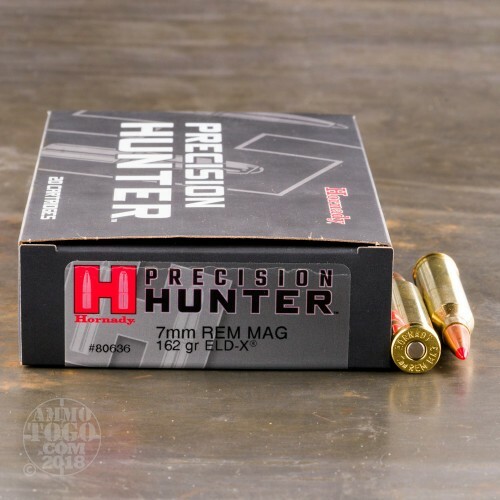 The 7mm Rem Mag debuted in 1962, developed from the .375 H&H Mag. With even better ballistics and range than the venerable 30-06, this round is perfect for big game hunting and with the proper ammunition it will help you get that next trophy. If you are looking for a superb, long range round, with proper terminal performance for hunting, then this is the ammo for you. 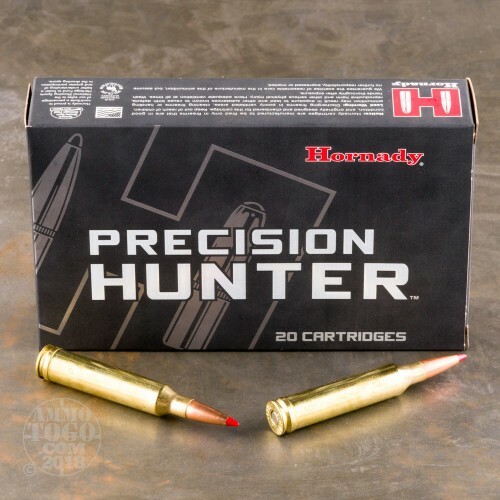 When you buy from Hornady, you are getting some of the best ammunition on the market. 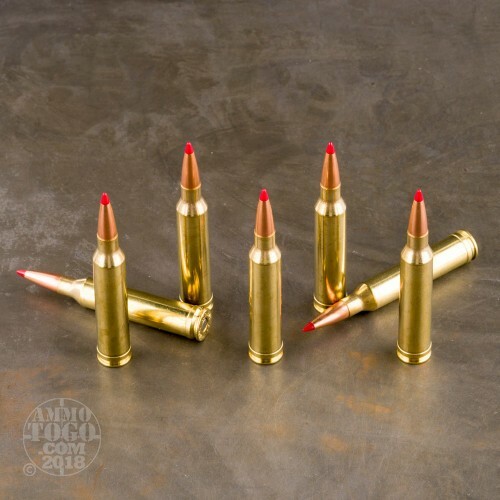 Founded out of a need for high quality ammunition, Hornady has been around since the end of World War II, providing premium ammunition for shooters and hunters. These ELD-X rounds are just perfect for long range deer and elk hunting. 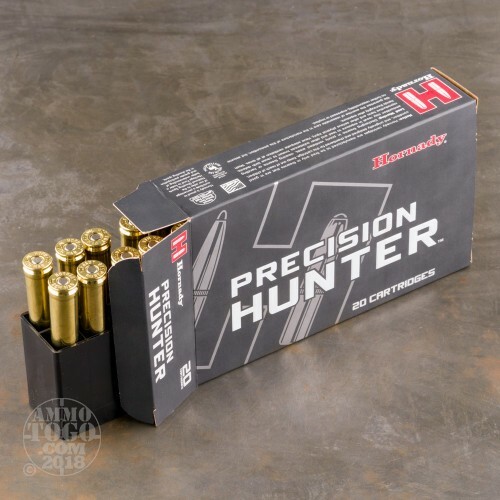 With these Extremely Low Drag eXpanding bullets you see devastating conventional range performance (0-400 yards) and the best extended range terminal performance offered by Hornady.